September 15th, 1977, is a date Tolkien fans shoud never forget. 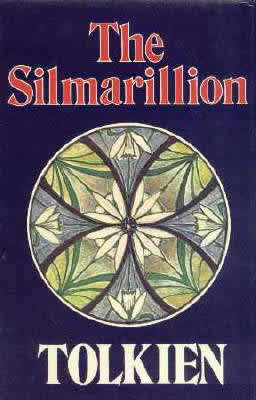 Thirty-five years ago, the greatest set of stories ever written was first published: The Silmarillion. We must be very grateful with Christopher Tolkien, who edited J. R. R. Tolkien's writings and was responsible of the publication of the book itself. Without him, wonderful stories about the Valar, the Wars against Morgoth, Túrin, Eärendil, Fëanor, and of course, Beren and Lúthien, among many many other great characters, would never have been known. It was Tolkien's first novel about Middle-earth, it's very first drafts were published in the also extremely interesting The Book of Lost Tales. 1. The Ainulindalë - the creation of Eä, Tolkien's universe. These five parts, in origin separate works, were put together as this is how J.R.R.Tolkien would have liked it. The earliest drafts of The Silmarillion stories date back to as early as 1917, when Tolkien, a British officer stationed in France during World War I was laid up in a military field hospital with trench fever. At the time, he called his collection of nascent stories The Book of Lost Tales. After the war, he tried to publish some of his stories, however many editors rejected him, regarding his work as "fairy tale" unsuitable for adult readership. He tried once more, having already published The Hobbit in 1937; however that time too, The Silmarillion was deemed too complicated. Tolkien was asked to write a sequel to The Hobbit which would become his significant novel The Lord of the Rings. But Tolkien never abandoned his book. He regarded The Silmarillion as the most important of his work, seeing in its tales not only the genesis of Middle-earth and later events as told in The Hobbit and The Lord of the Rings, but the entire core of his legendarium. He continued to work on them over the next several decades, revising and reworking his ideas, right up until his death in 1973. For several years after his father's death, Christopher Tolkien worked through the mass of papers written by his father creating a coherent, consistent and chronologically accurate whole. On some of the later parts of the "Quenta Silmarillion" which were in the roughest state, he worked with fantasy author Guy Gavriel Kay to construct a narrative practically from nothing. The final result, which included genealogies, maps, an index and the first-ever published Elvish word list was published in 1977."